Constance Elaine Trimmer Willis was born December 31, 1945 in Denver CO and has lived in Colorado most of her life. She earned a BA in English and elementary education from the University of Northern Colorado, Greeley, in 1967, and taught elementary and junior high school from 1967-81. She wrote some during this period, making her first SF sale to Worlds of Fantasy with ‘‘The Secret of Santa Titicaca’’ (1971), and earned her first Hugo nomination for ‘‘Daisy in the Sun’’ (1979). In 1982, she received a National Endowment for the Arts grant, which enabled her to write full time. 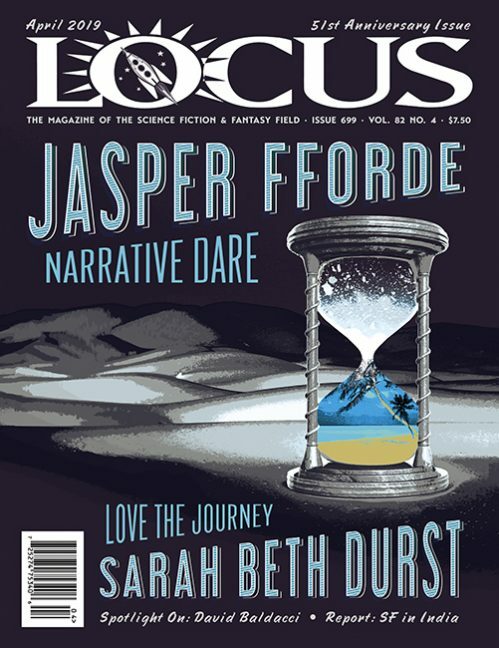 That year, Hugo- and Nebula-winning novelette ‘‘Fire Watch’’ and Nebula-winning story ‘‘A Letter from the Clearys’’ appeared, the first of her many award-winning stories, which so far include 11 Hugos and seven Nebulas – more than any other SF writer – and a dozen Locus Awards. First novel Water Witch (1982) was a collaboration with Cynthia Felice; they also wrote Light Raid (1989) and Promised Land (1997) together. First solo novel Lincoln’s Dreams (1987) won the John W. Campbell Memorial Award, and her second, Doomsday Book (1992), won both the Hugo and Nebula and a Locus Award. 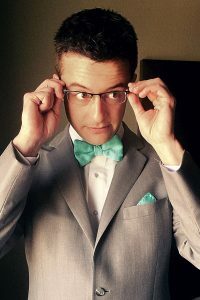 Uncharted Territory and Remake (Locus Award winner and Hugo nominee) appeared in 1994, followed by Locus Award Winner and Nebula finalist Bellwether (1996), Hugo winner and Nebula nominee To Say Nothing of the Dog (1998), and Passage (2001), winner of a Locus Award and finalist for both the Hugo and the Nebula. Time travel duology Blackout/All Clear (2010) won Hugo, Locus, and Nebula Awards, and was a Campbell Memorial Award finalist. Her latest novel, Crosstalk, is a romantic comedy about telepathy. Willis is a celebrated short fiction writer, and her award-winning works include ‘‘The Last of the Winnebagos’’ (1988, Hugo and Nebula winner), ‘‘At the Rialto’’ (1989, Nebula winner and Hugo finalist), ‘‘Even the Queen’’ (1992, Hugo, Nebula, and Locus Awards winner), ‘‘Death on the Nile’’ (1993, Hugo Winner, Nebula and Bram Stoker Award nominee), ‘‘Close Encounter’’ (1993, Locus Award winner), ‘‘The Soul Selects Her Own Society: Invasion and Repulsion: A Chronological Reinterpretation of Two of Emily Dickinson’s Poems: A Wellsian Perspective’’ (1996, Hugo winner), ‘‘Newsletter’’ (1997, Locus Award winner), ‘‘The Winds of Marble Arch’’ (1999, Hugo winner and World Fantasy Award finalist), ‘‘Inside Job’’ (2005, Hugo Winner, Theodore Sturgeon Memorial Award finalist), and ‘‘All Seated on the Ground’’ (2007, Hugo winner). Other notable stories include Hugo and Nebula nominees ‘‘The Sidon in the Mirror’’ (1983) and ‘‘Jack’’ (1991); Hugo finalists ‘‘Spice Pogrom’’ (1986), ‘‘Time Out’’ (1990), ‘‘Cibola’’ (1990), ‘‘In the Late Cretaceous’’ (1991), ‘‘Miracle’’ (1991), ‘‘Just Like the Ones We Used to Know’’ (2003); Nebula nominee ‘‘Schwarzschild Radius’’ (1987); and World Fantasy finalist ‘‘Chance’’ (1986). Many of her stories have been collected in Fire Watch (1985), Locus Award winning Impossible Things (1993), Miracle and Other Christmas Stories (1999), The Winds of Marble Arch and Other Stories (2007), and The Best of Connie Willis (2013). Willis also edited anthologies The New Hugo Winners Volume III (1994, with Martin H. Greenberg), Nebula Awards 33 (1999), and A Woman’s Liberation: A Choice of Futures By and About Women (2001, with Sheila Williams). 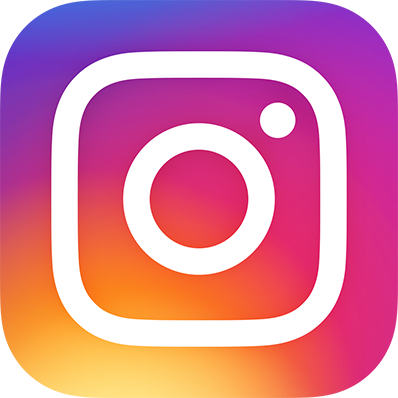 She is a frequent speaker and guest of honor at SF conventions, and much sought-after as a Toastmaster. 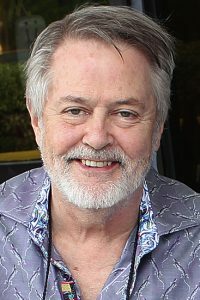 Willis was inducted into the Science Fiction Hall of Fame in 2008, and was named a SFWA Grand Master in 2011. She lives in Greeley CO with her husband Courtney (married 1967), and they have an adult daughter, Cordelia. ‘‘Crosstalk was calling to me, and for various reasons I thought it was time to write it. 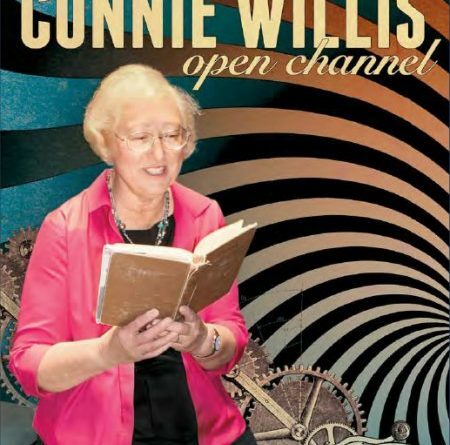 First, though, I have to get this onto the record: there is another Connie Willis out there. I discovered that when I was giving a speech at Colorado State University. They were introducing me and said, ‘She’s written all these books and won these awards,’ and then they said, ‘and she’s frequently a host on the radio show Coast to Coast. She claims to have lived past lives, she’s been abducted by aliens, and she’s a psychic.’ I was waving at them from the back of the room. I said, ‘I don’t know who you’re talking about, but that’s not me.’ They were very disappointed because they thought I believed in telepathy. I was like, ‘No, I write science fiction. Fiction is the word. 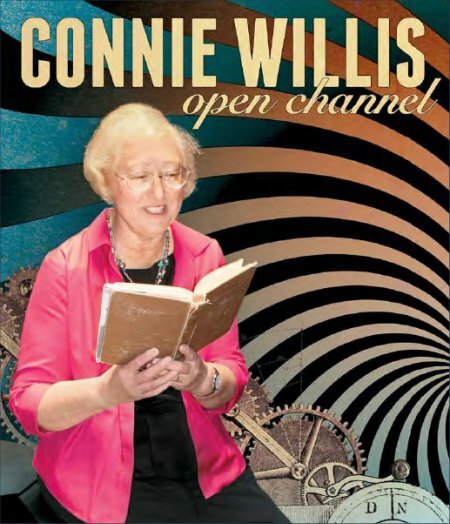 Fiction.’ I went home and looked up the other Connie Willis, and yes, she’s a co-host on Coast to Coast. It’s a late night crazy radio show where they have Sasquatch and the Loch Ness Monster, and yes, she has past lives and she’s a psychic. She’s all these things I have spent my entire life trying to convince people I’m not, because I’m a science fiction writer and they always get confused. I’m really unhappy she’s out there. ‘‘What’s next? The UFO novel is still next on my list. It was next last time, and then it got superseded by Crosstalk. I’m working on it right now, and I was plotting it in the car as we drove from Colorado to Kansas City for Worldcon. It’s something I’ve always wanted to write. There were a couple of reasons to put it on the back burner – various movies had come out that I thought might conflict with it. That’s no longer an issue, because those movies sank without a trace. When I wrote Lincoln’s Dreams, I worked on that book for five years. The focus was a great deal about Robert E. Lee and his horse Traveler. Then two months later Richard Adams, the guy who wrote Watership Down, brought out a book called Traveler. Of course he was way more famous than me. I was like, ‘Oh, my God, this is going to completely sink my book.’ I’ve had that happen a couple of times, usually with short stories, and it’s easy to wait a couple of years and then write the short story… but when it’s a novel and you’re putting so much time in, you really don’t want every review to say, ‘Clearly derivative,’ even though it’s not. Read the complete interview in the October 2016 issue of Locus Magazine. Interview design by Francesca Myman. There is a lot of romance out there like that, but there’s also a lot that isn’t, where the romance is between equal partners. Connie Willis is doing the equivalent of dismissing SF as being about talking squids in outer space.